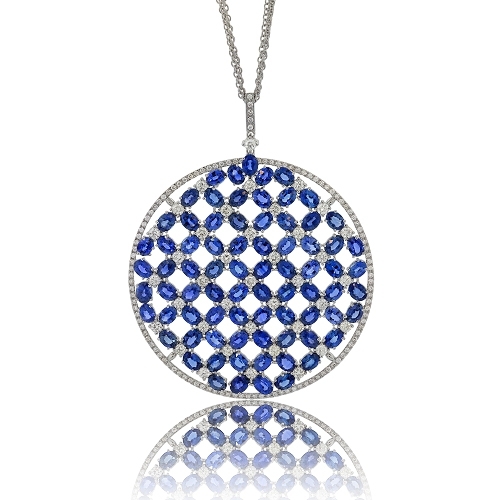 Oval blue sapphires & round brilliant diamonds prong set in a cool pattern mounted in 18k white gold. Diamonds approx. 2.45ct. Chain 16"